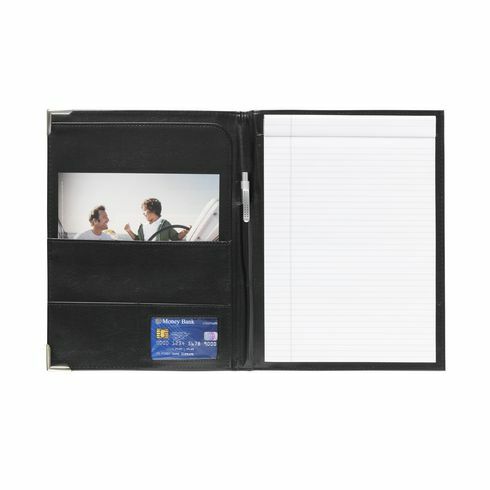 Conference/document folder made of soft imitation leather in A4 format. With ~ 4 pockets ~ protective corners. Includes writing pad and ballpoint pen.